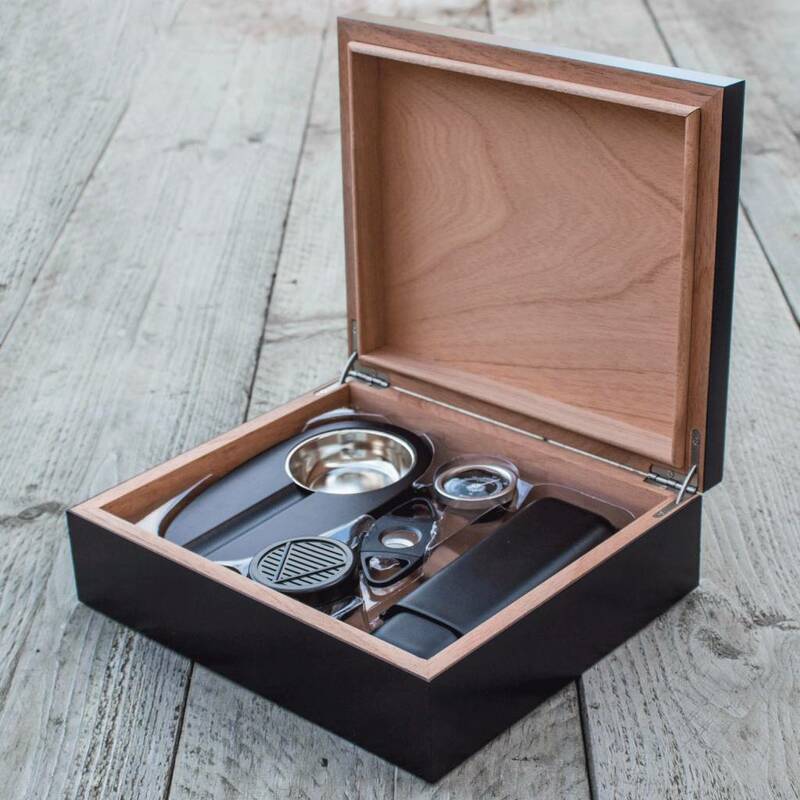 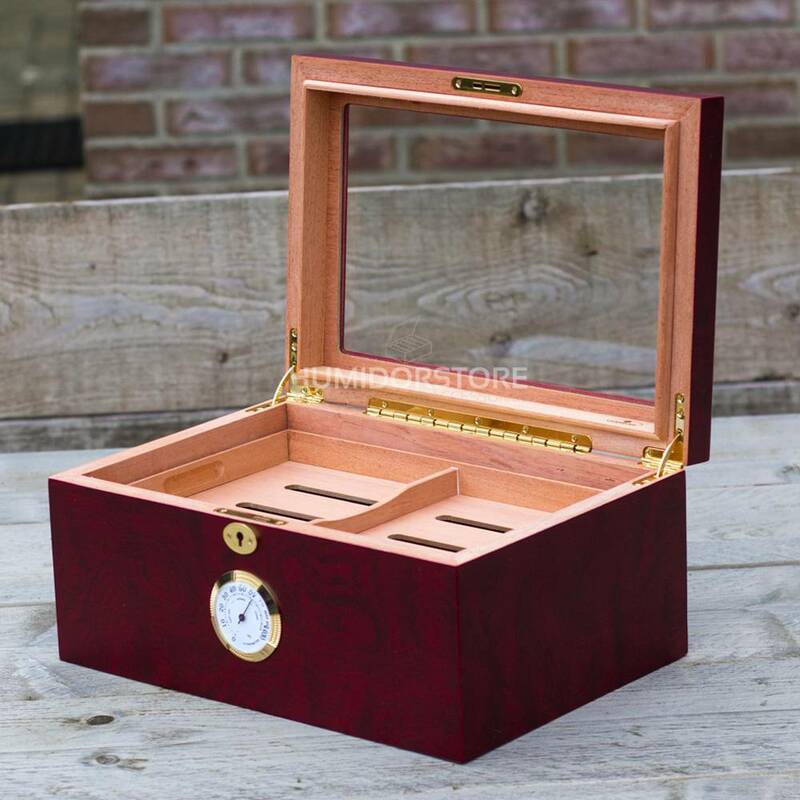 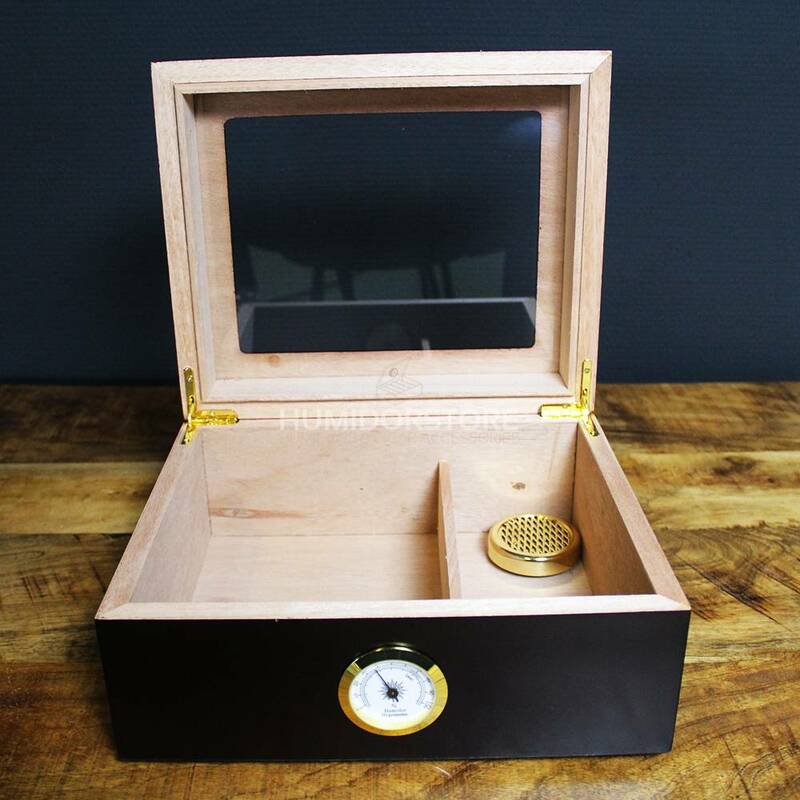 A humidor is of essential importance for the cigar smoker, it helps to keep your valuable cigars in absolute top condition. 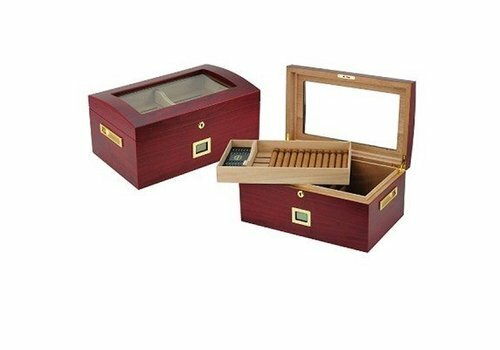 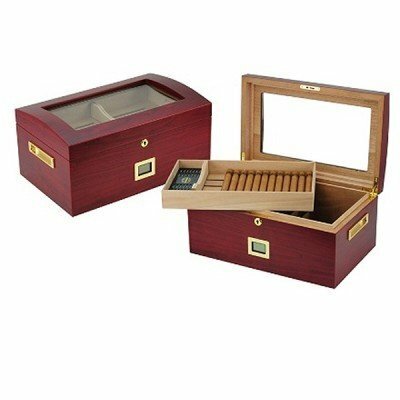 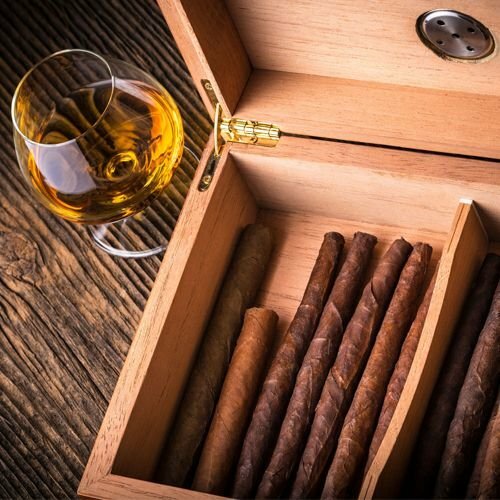 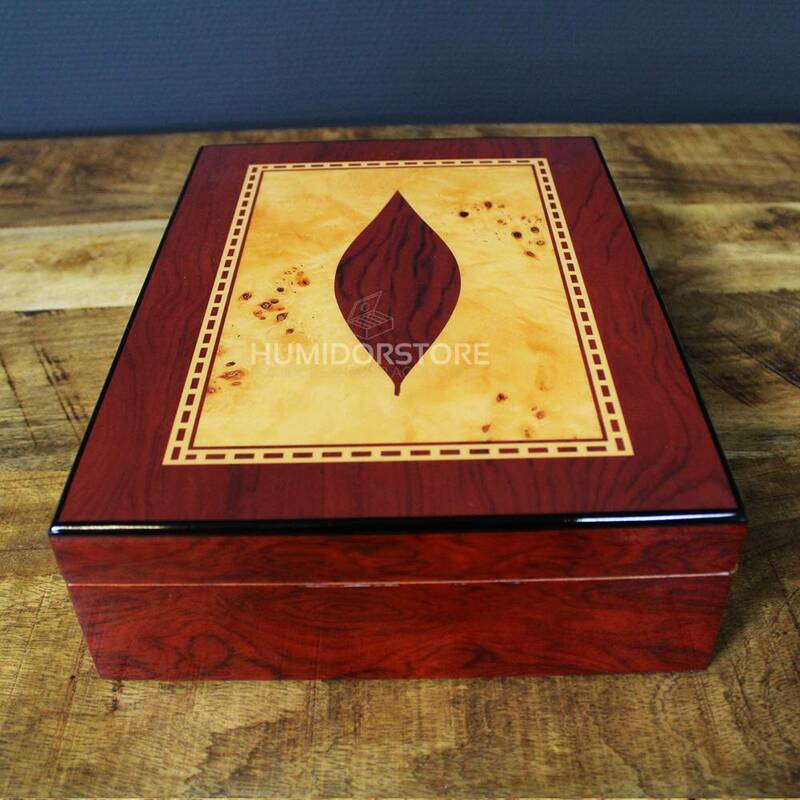 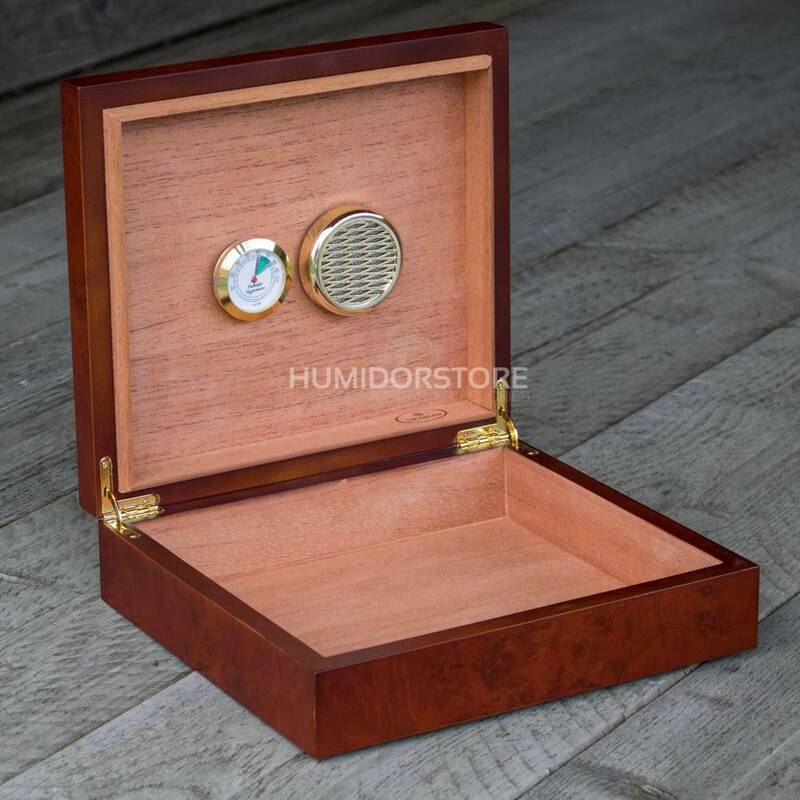 Humidors, also known as cigar boxes are available in various shapes and sizes, from small travel humidors to huge humidor cabinets. 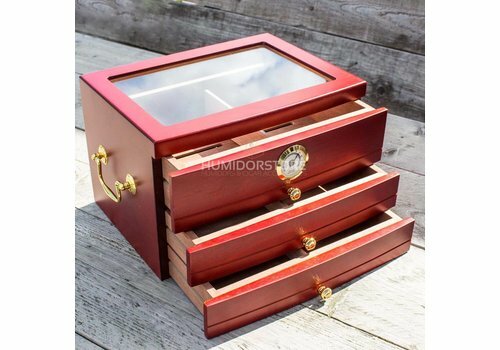 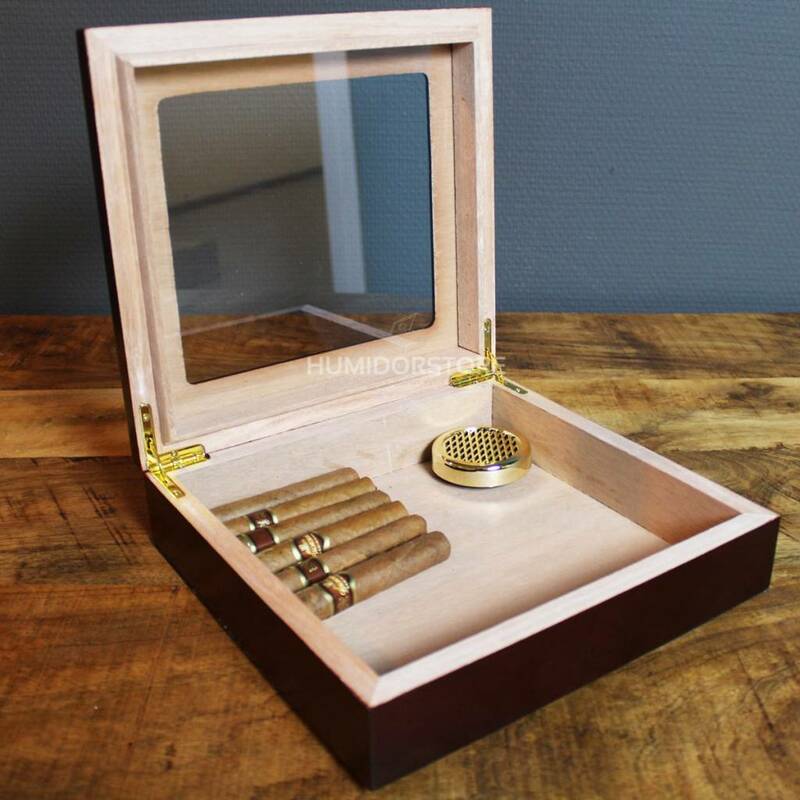 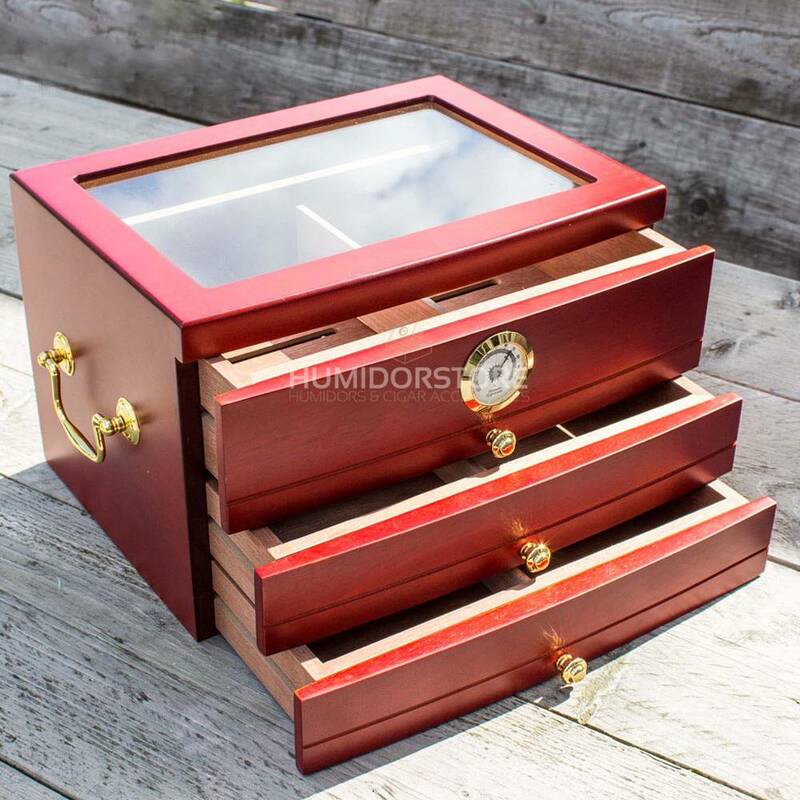 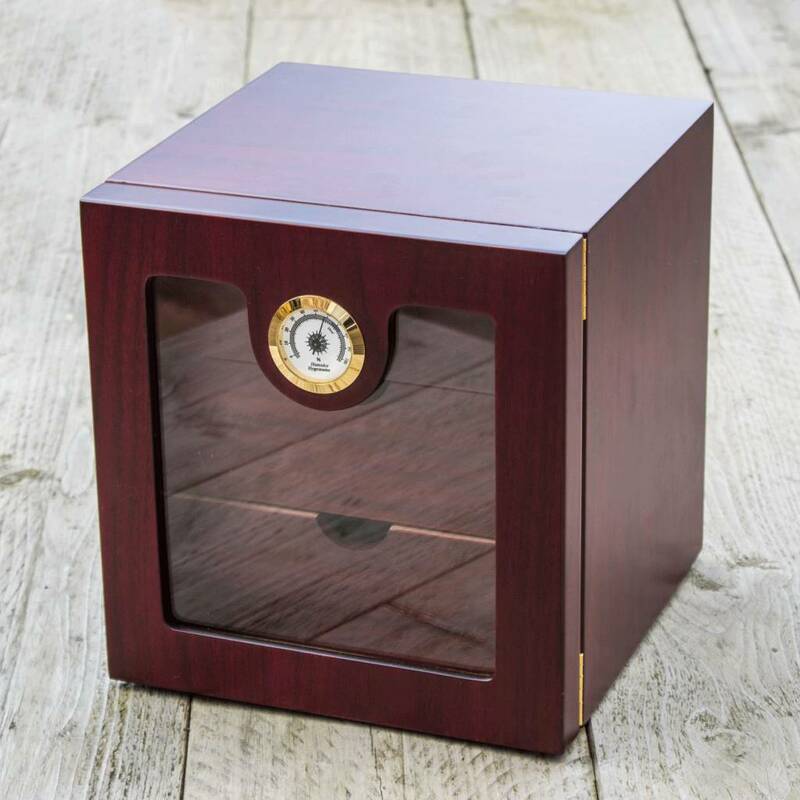 Humidor Horatio is a beautifully handcrafted humidor with a glass window, which allows you to always keep an eye on your valuable cigars. 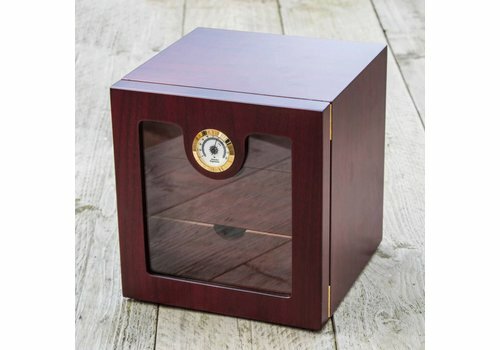 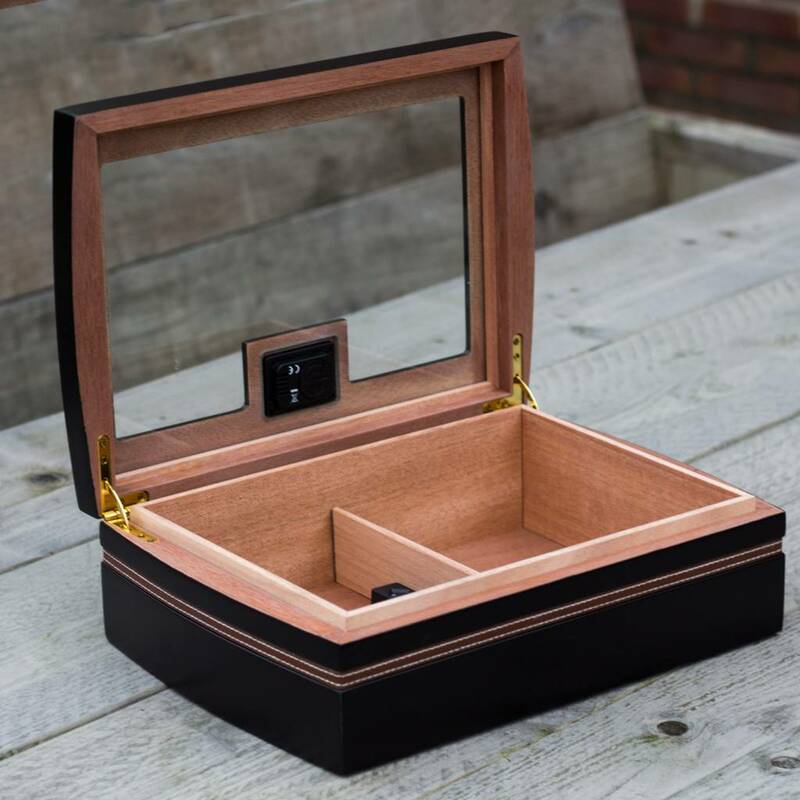 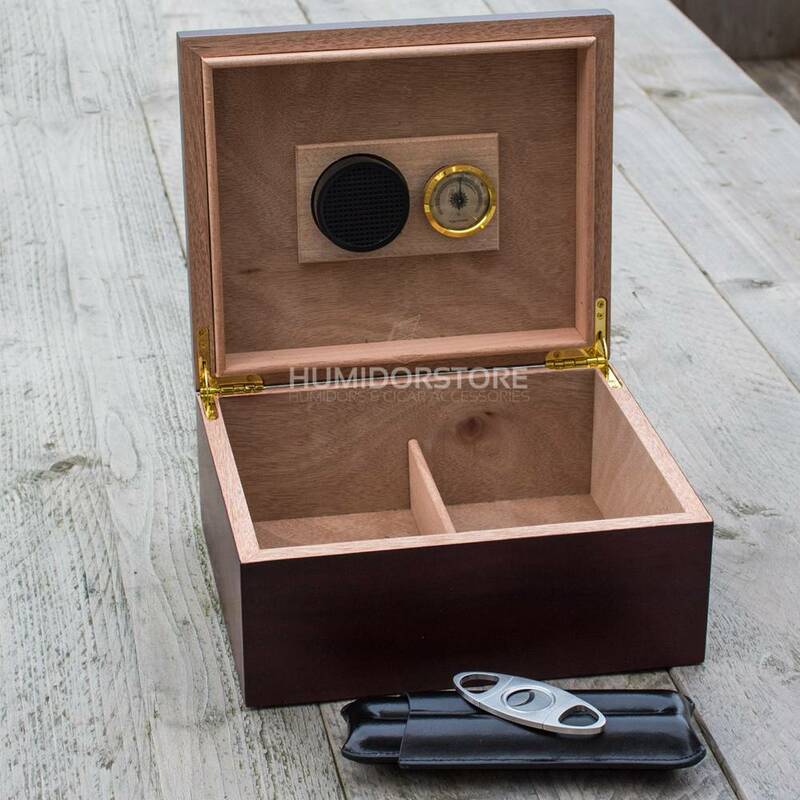 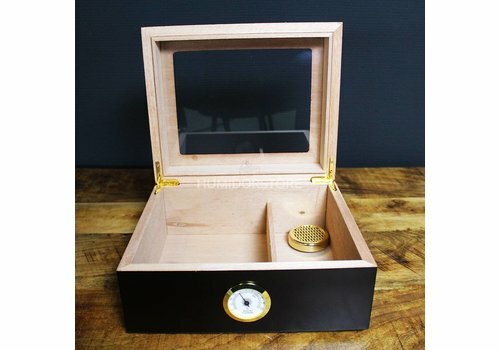 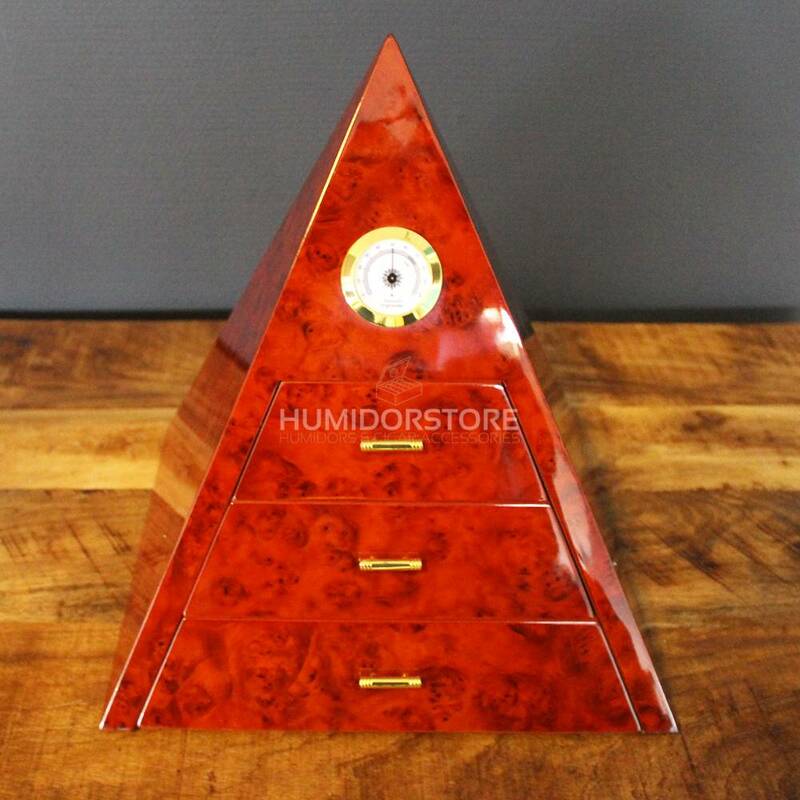 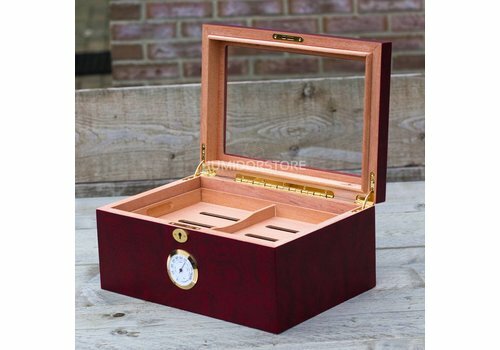 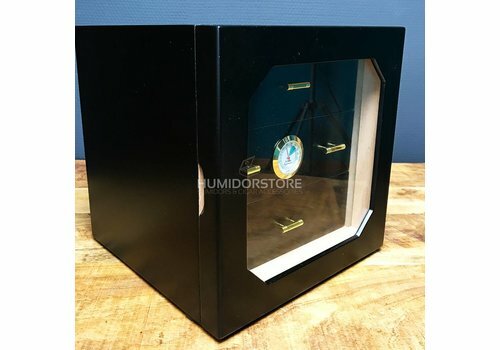 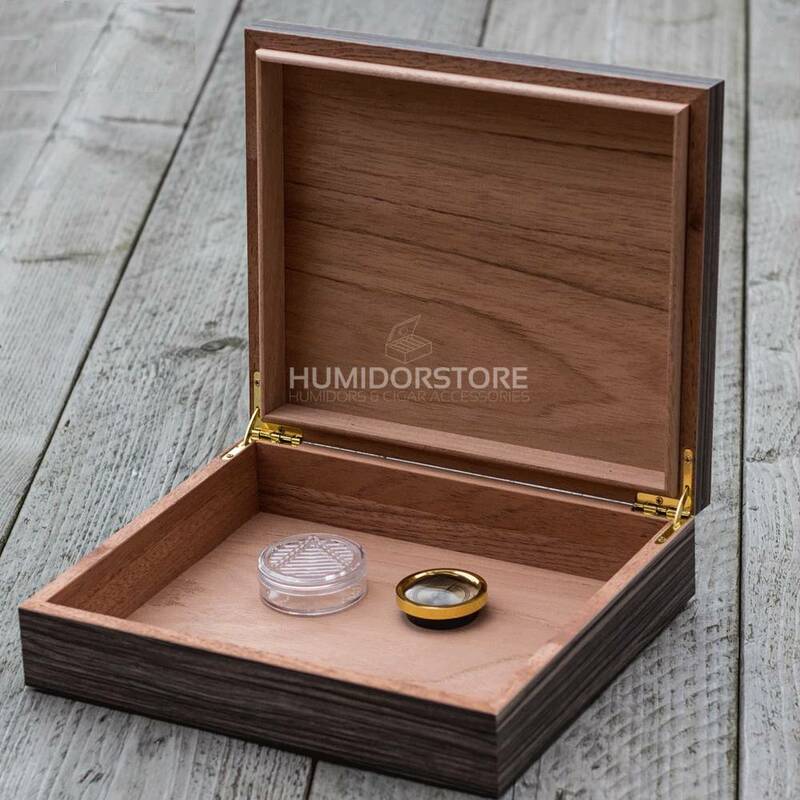 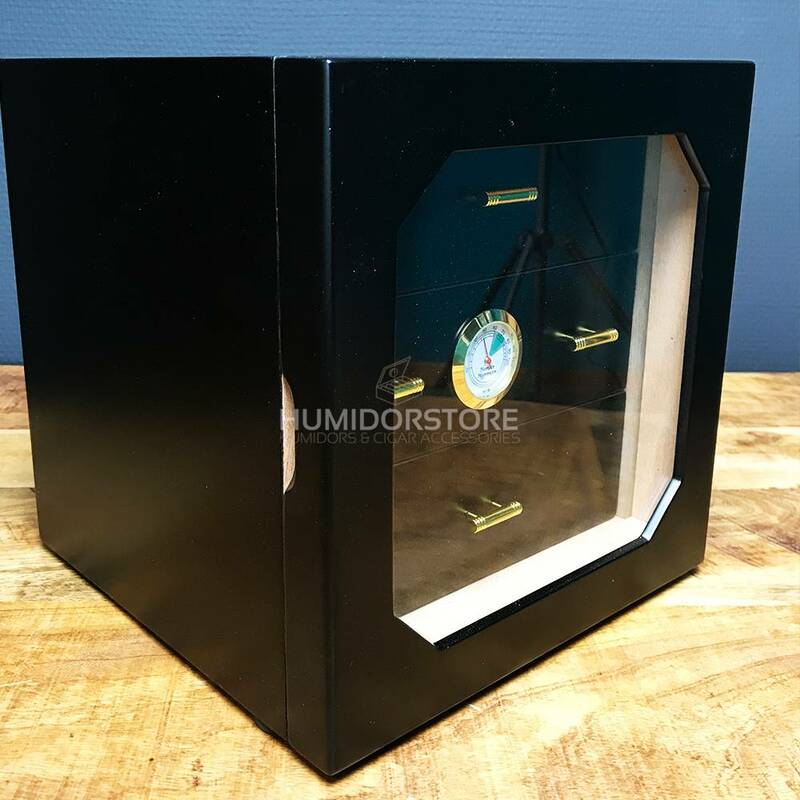 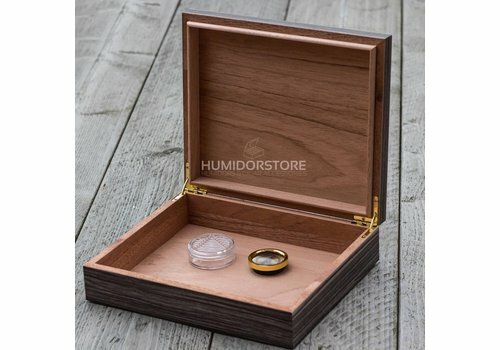 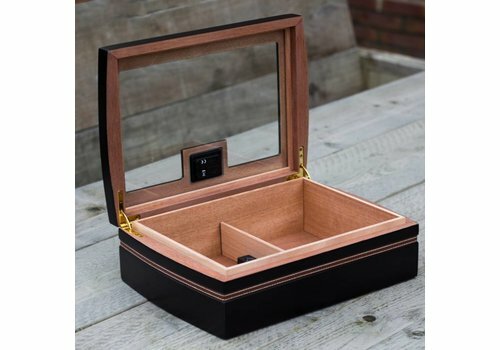 The Humidor Kensington is a handcrafted black humidor with golden details and a window, it also includes a hygrometer on the outside. 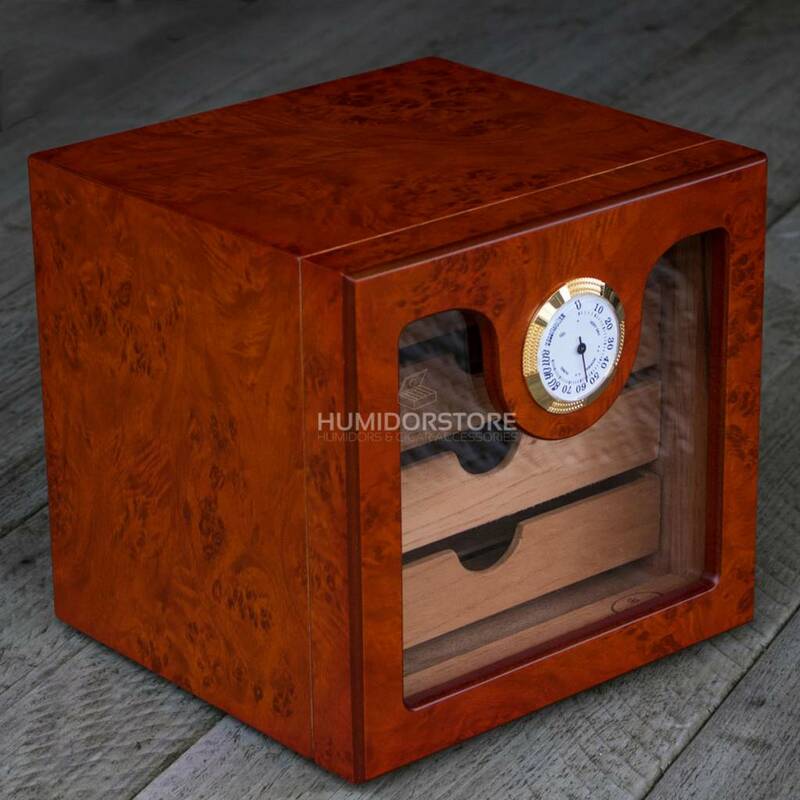 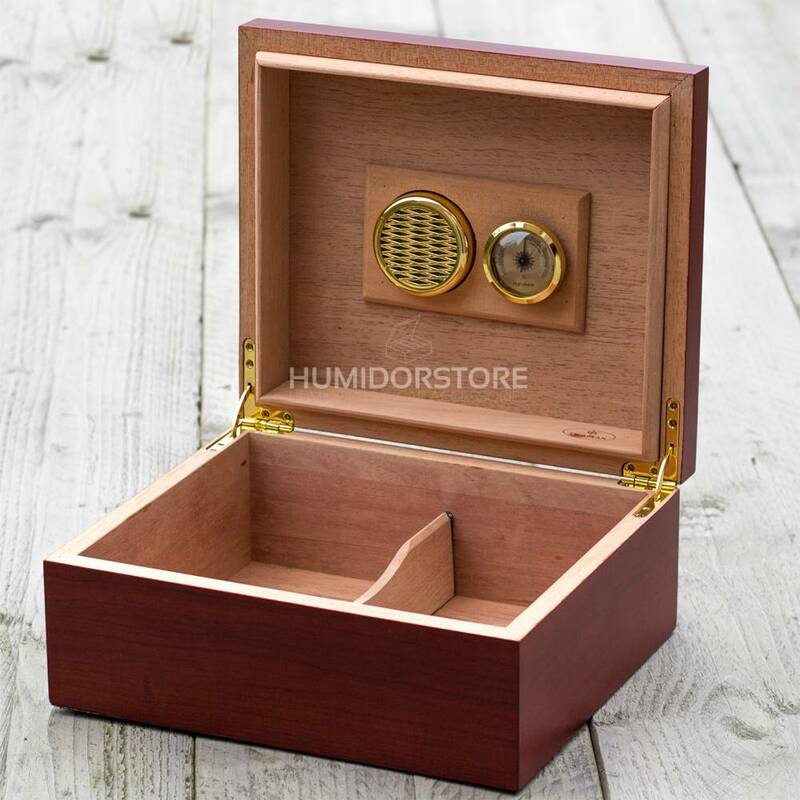 The interior of the humidor is made of Spanish cedar wood. 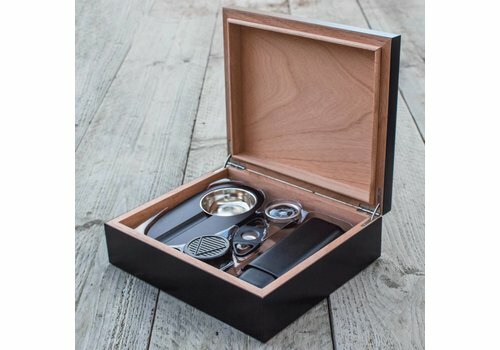 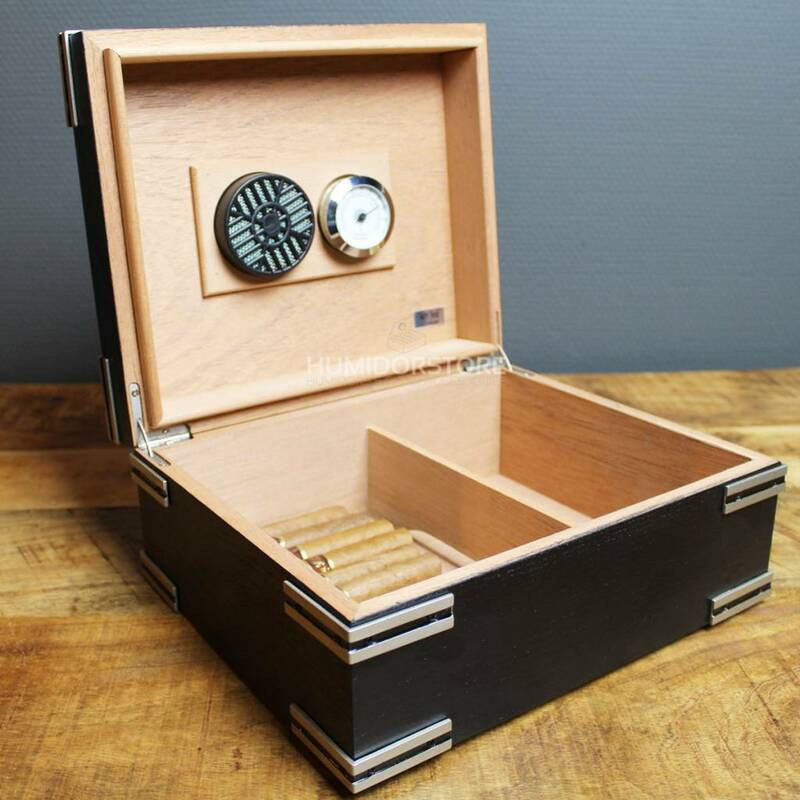 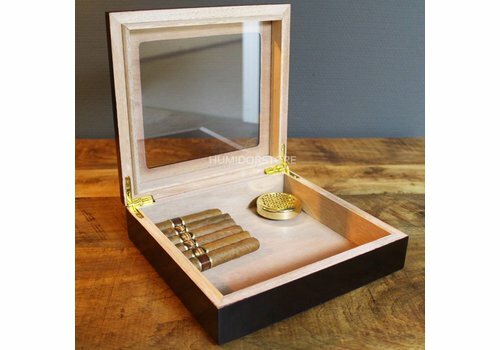 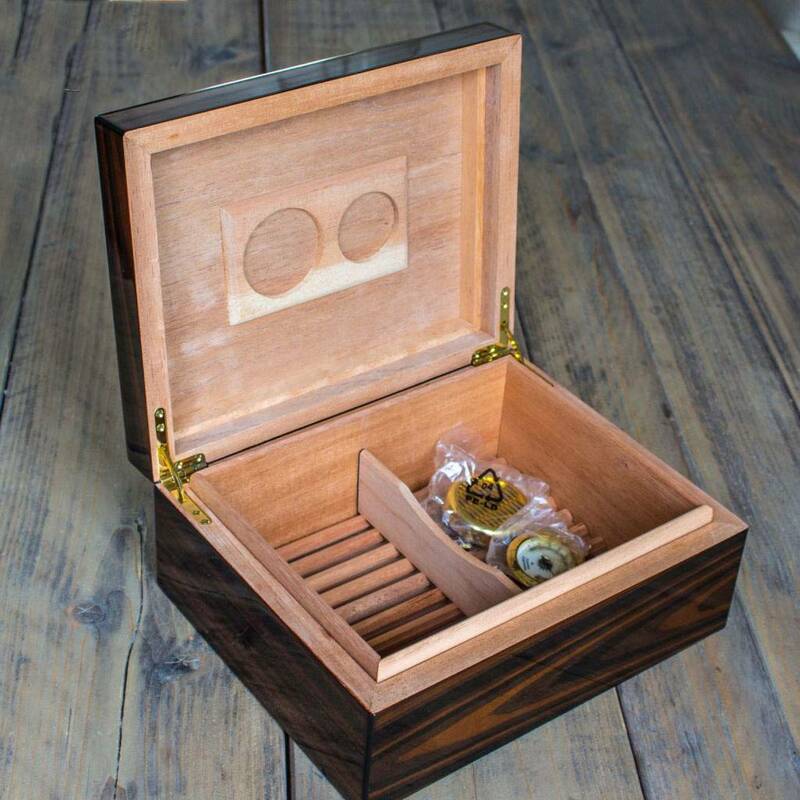 The travel humidor is a portable humidor, which often is able to carry in between 2 and 10 cigars. 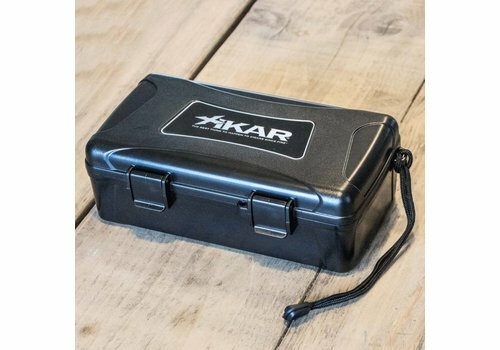 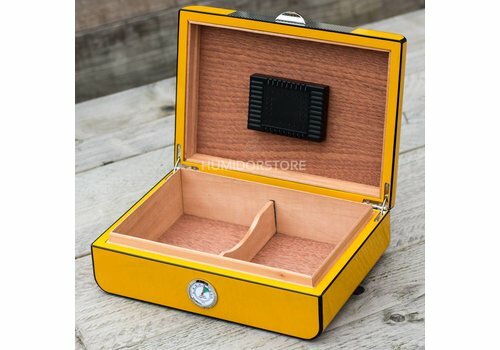 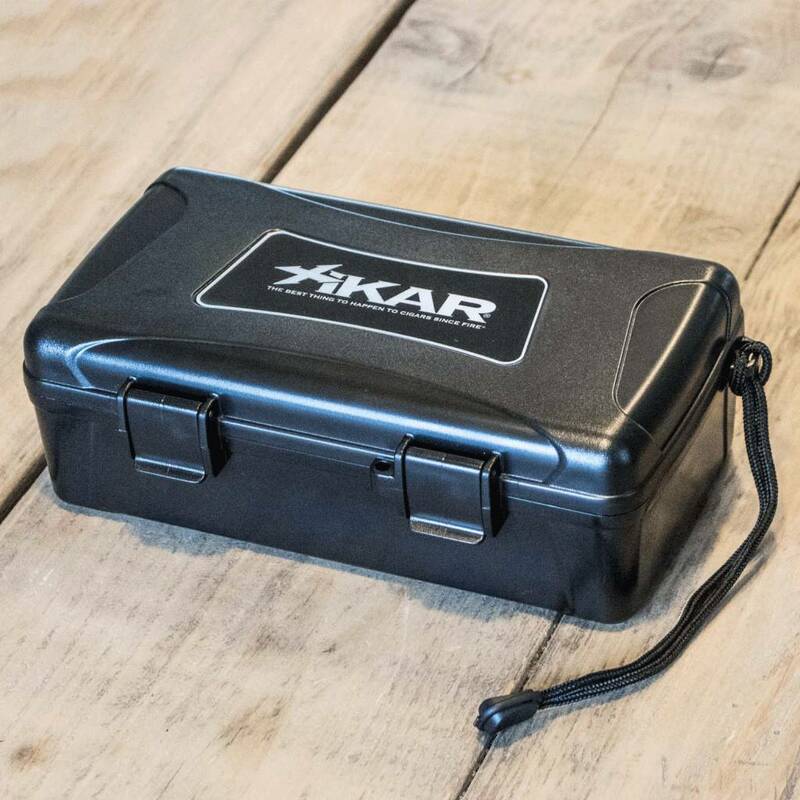 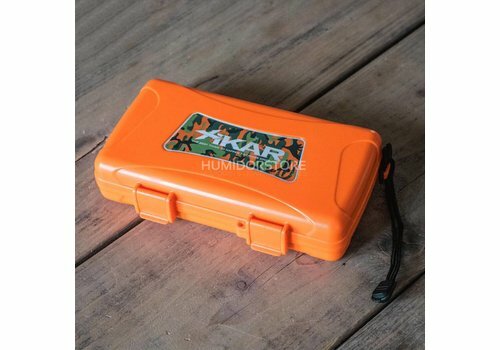 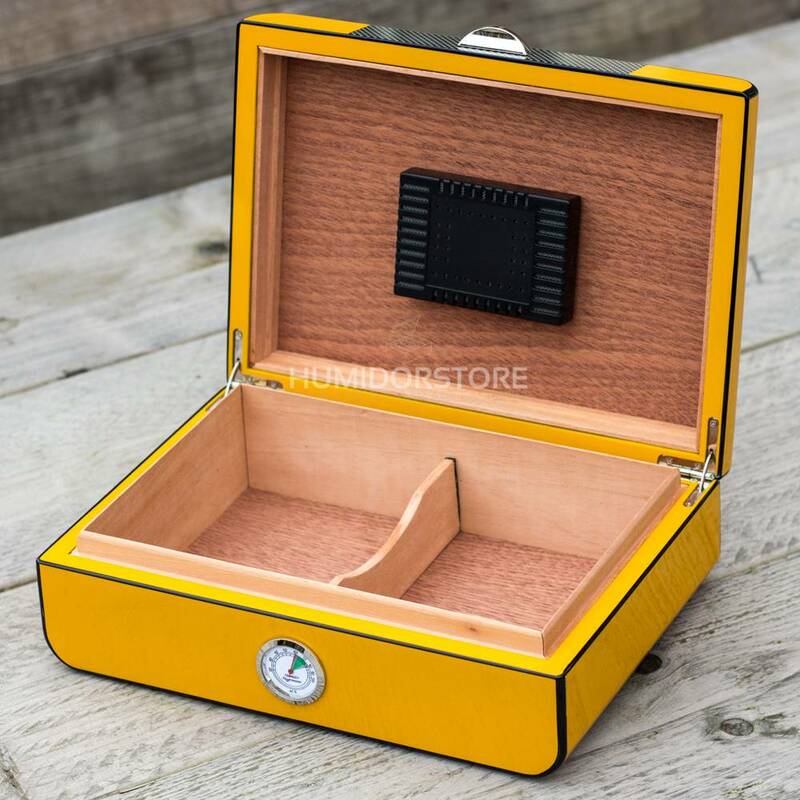 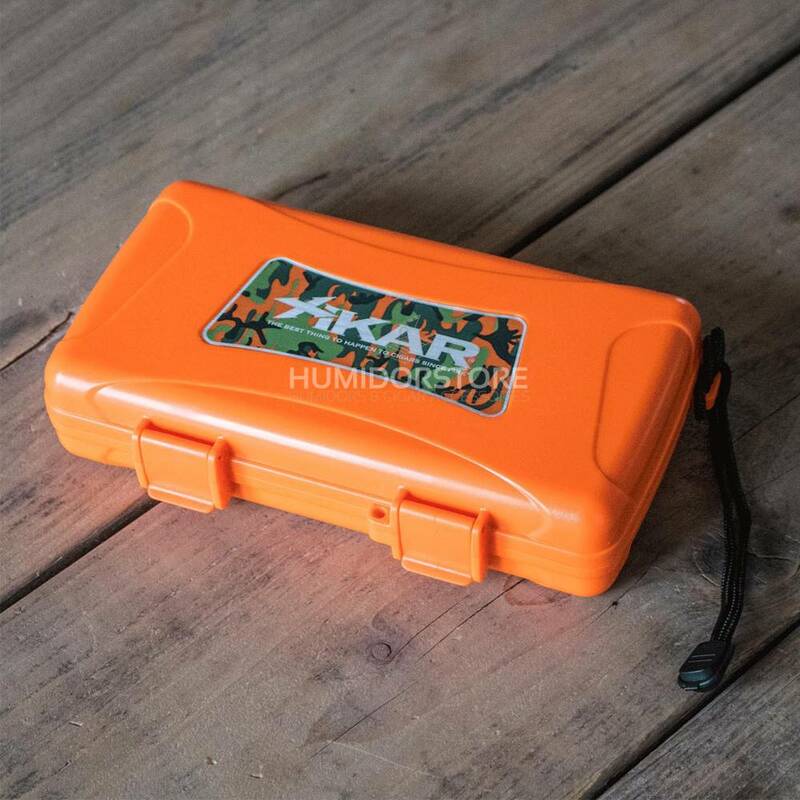 It is important that the travel humidor is equipped with a hard case and soft urethane foam on the inside, so that your valuable cigars are well protected. 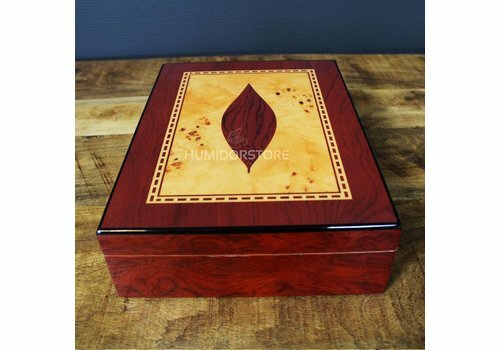 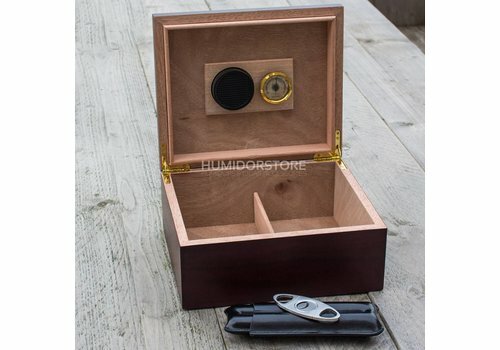 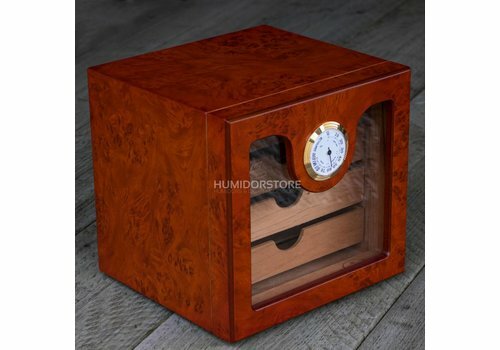 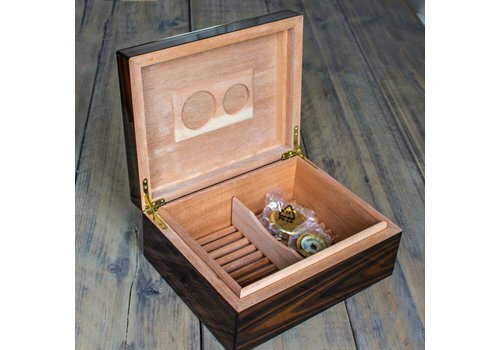 A personal humidor often deserves a special place within your home. 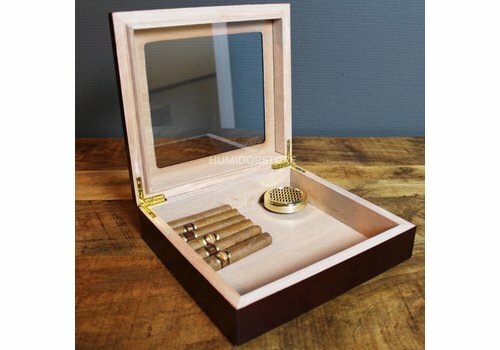 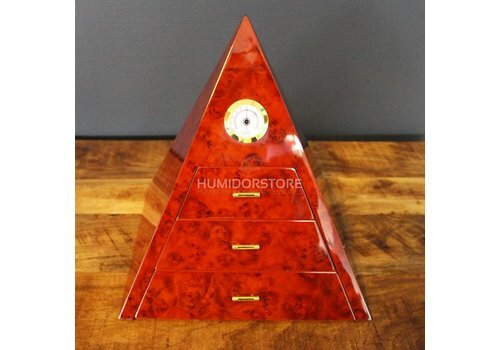 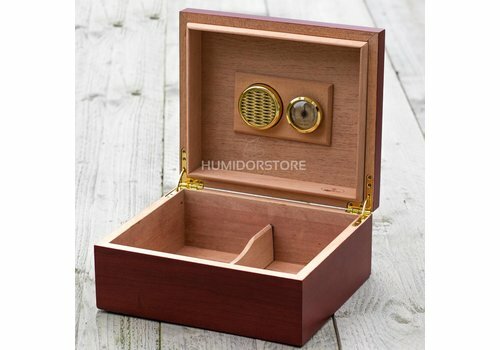 These humidors are often being used for storage of personal / special cigars and can hold up to 20 - 75 cigars. 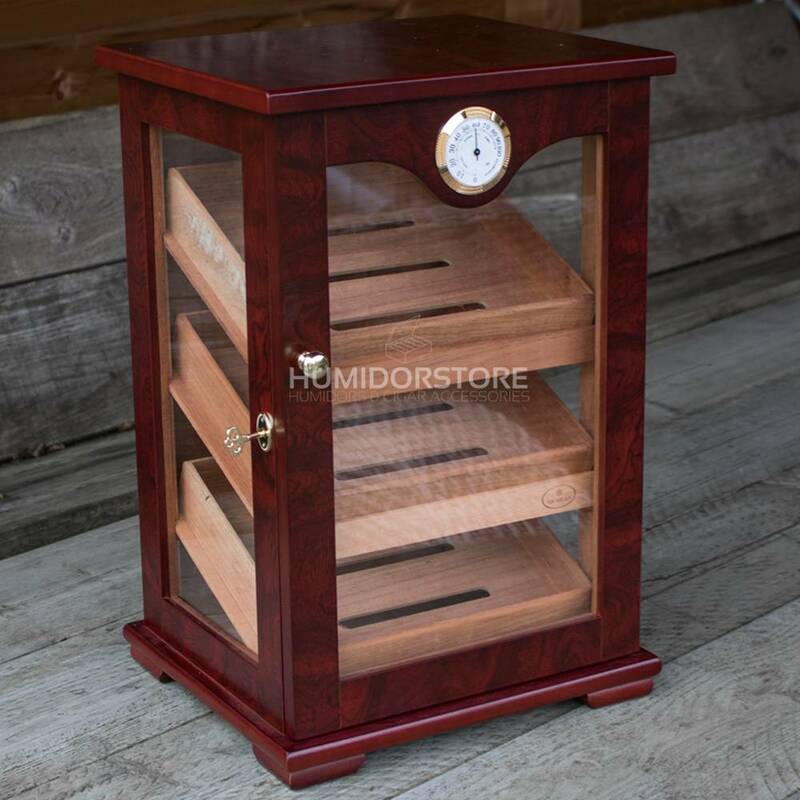 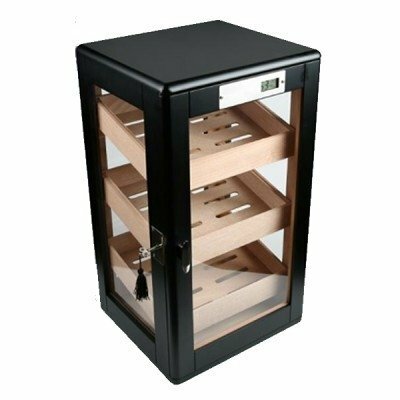 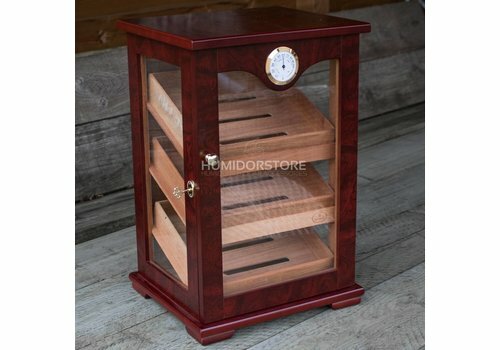 A cabinet humidor can store up to 200 - 5000 cigars. 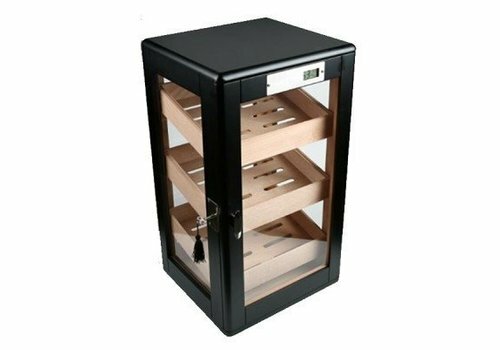 Large cabinets are often being placed on the ground and are equipped with multiple drawers. 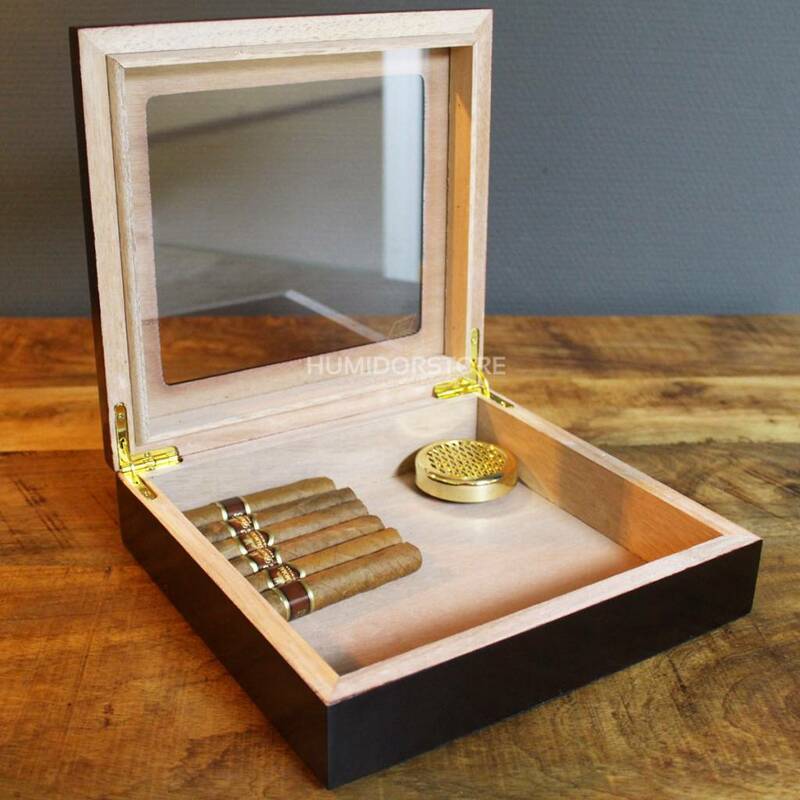 Smaller cabinets are often placed on top of a sideboard and can store up to 300 cigars. 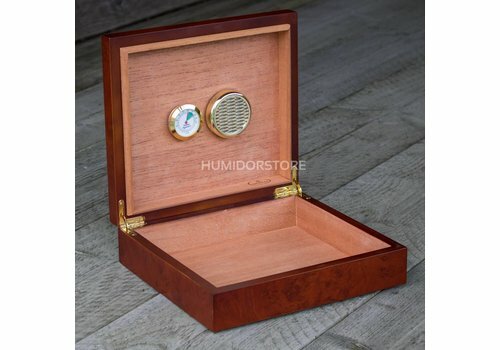 A walk-in humidor is rare and mostly found within a cigar bar or store. 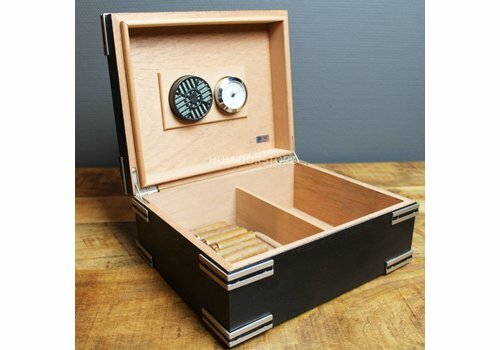 The whole space is built to keep cigars in perfect shape under perfect circumstances.